The Kemper amp leads where other companies fear to tread. This Kemper remote floor pedal is designed to enhance the amplifier beyond recognition and add some serious control, but how good is it? Finally the Kemper remote is available to enable full floor control of the amp. Sometime in 2012 Kemper launched the now famous Kemper amplifier for guitarists to the world and everything really did change. At first the unit had it's bugs and that sort of thing, but Kemper is known to continually enhance the amp. Later the 'performance mode' arrived via a software update, but frankly it could be hard to use without a decent dedicated floor control pedal. 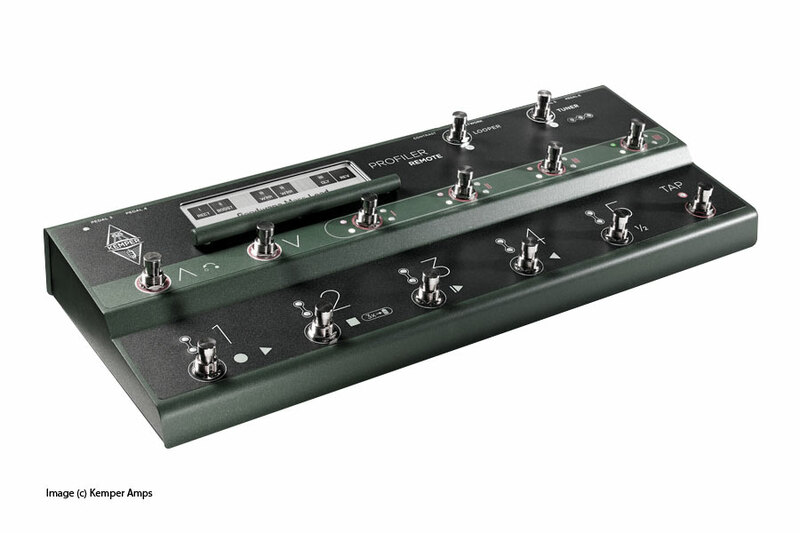 In 2015 Kemper announced and later launched the Kemper remote floor controller. This remote pedal was set to change the way that I saw the Kemper amp because prior to its release all that was available was the regular midi pedals like the Behringer or maybe (if you spent money) the Roland FC300, but none of them were a poor substitute for the real deal Kemper remote. It's one thing having all the 'performance' mode facilities in the amp and absolutely a different thing to control that amp in the way that Kemper always intended it to be controlled. So as soon as the remote was announced I placed the order to buy one; then I waited, and waited and waited. Eventually after a few months my remote pedal arrived. The cost was around $599 in the USA and 499 Mickey Mouse Euros. In the real world that's about £400 which is not peanuts for a midi controller type of pedal. But it does come with a professional connecting cable that Kemper have included in the price so all is not that bad on pricing really. However, the remote offers a looper (not available any other way than buying this pedal) and of course full and complete integration in to controlling that power in the Kemper amp once and for all. Exactly what Kemper users have needed for some time. 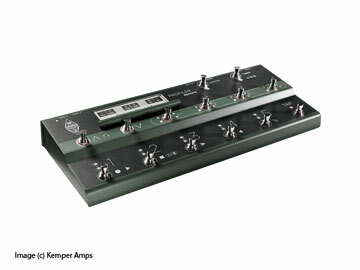 How well is the Kemper Remote made? As always in my 'inside and out' reviews I do take a look at exactly how products are put together to get some idea about the overall quality inside and outside of the unit. In the case of the remote (like the amplifier) I am not concerned at all about the overall quality of this pedal. Kemper, a German company are very effective in manufacturing and have (as a company) been around for a long time so it's likely that once I opened up the unit that everything was going to be cool. And it is!